Succeeding with your personal finances starts with making smart money decisions. Fortunately, there is plenty of financial information available at your fingertips thanks to technology and, of course, Google. While you don’t have to undertake all your financial matters on your own, some financial decisions will fall squarely on you and your family. Financial decisions like which credit card you’ll open or which vehicle to purchase happen within the family unit. Every day, you are confronted with making money decisions from small purchases at the grocery store to major decisions like where you will live. 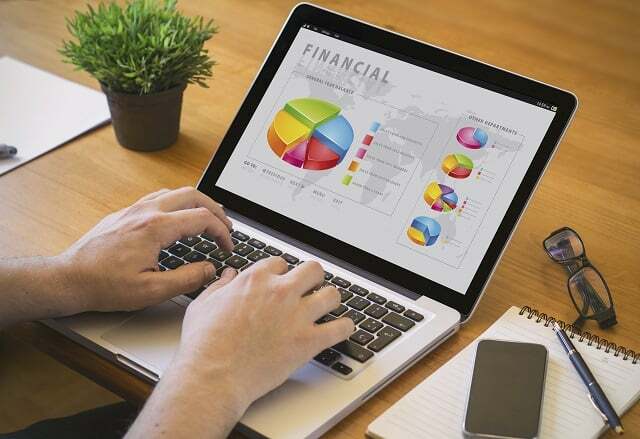 That’s why we’ve assembled a list of our favorite personal finance websites we recommend as your bona fide personal finance resource. Consumer Reports is great for comparing prices and products. Knowing the best value for your dollar is powerful. You can compare ratings for just about anything on the market, including some very important financial products like credit cards, insurance, banks, and even brokerage services. Speaking of comparing prices and products, when it comes to vehicle purchases or the sale of your existing vehicle, Kelly Blue Book is your ultimate resource. Car buying and selling is one of the most stressful of financial transactions. Arming yourself with the dollar amount you are willing to pay for the car of your choosing isn’t just smart, it’s necessary so you don’t wind up on the losing end of a negotiation. U.S. News offers a plethora of personal finance advice across a wide range of topics. From financial news to how-to articles, people from any income level and generation can source good financial information from this site. We especially like how they organize their financial topics between Mutual Funds, ETFs, Investing, Personal Finance, Retirement, Careers, and Real Estate so you can quickly find the type of financial information you’re looking for. Dealbook is a column in The New York Times that shares major financial news, much like Yahoo Finance or other media outlets, but with a focus on business financial news. We like it to skim what’s going on around the country and the world as it pertains to big business and government regulations. Likewise, Forbes Personal Finance is a good source of financial information and news. While Forbes offers major headlines, its Personal Finance column provides timely and relevant money topics like general money tips, how to save, and ways to get out of debt – you name it, they cover it. We’ve mentioned Ebates on our show before. This is a site you can use versus source for information. We are all about saving a dollar when you can, and we really like how Ebates offers cashback incentives just for shopping through their site. Because it can help make your dollar go even further, it made our list! NerdWallet offers practical money tips, and we think they do a good job in providing insights and direction for a lot of important money decisions. They make it super easy to compare credit cards and the different rewards programs offered by each one of the credit card companies. They provide the same valuable information for banks, retirement accounts, mortgages, loans, and insurance. It’s a one-stop-shop for researching these important financial products. If you’re just starting to get your beak wet with your finances and financial education, MintLife is a great site to bookmark. Mint itself is a tool you can use to aggregate all your financial accounts so you can see your entire financial picture at one time. It’s free and you can set money goals and track your progress. In addition to the tool, the MintLife blog offers practical money tips that tend to relate to younger people just starting out. Entrepreneur offers financial advice for the savvy business owner. Whether you’re a start-up, solopreneur, or serial entrepreneur with years of experience, the business-centric focus of this site helps business owners make smart money decisions. Spending money to make money takes some insight. Building and protecting your financial future while starting or growing a business is absolutely possible with the right money moves. This site addresses topics very focused on issues and situations affecting entrepreneurs. Of course we would be remiss if we didn’t mention The Money Guy Show! Our website and podcast started a decade ago to make financial education accessible to people all over the country. This is a place where you can come to learn about personal finances by listening to our show or reading our blog. We cover practical money topics that restores order to your financial life and offer simple and smart solutions for your personal finances. New and seasoned investors alike can learn how to make smart money decisions to achieve financial independence. What are some of your favorite personal finance websites? We’d love to know which ones you use and have found helpful to your own financial journey. Let us know by commenting on this post, sharing with us on Facebook, or writing to us directly by emailing us at [email protected] and [email protected].